Middle Georgia Home Values - What is my Home Worth? Real estate values, like any other commodity, fluctuate over time. When considering the prospect of placing your home on the market, you should have an accurate estimate of its property value. We can help you determine that critical factor before you begin the selling process. Please provide some background information now by completing our free online home valuation. We'll then contact you to obtain the details we'll need to perform a market analysis. Or you can simply call or e-mail us and we will help you with performing a market analysis for your home. Try our free home valuation, a useful marketing analysis tool in helping you assess the property value of your home. Selling a home can be complex. 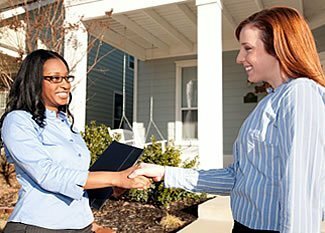 Fickling & Company uses market analysis, MLS listing services, an extensive advertising campaign, and the expertise of our professional real estate agents to help you with selling your home in the Middle Georgia area.